As you browse through the pages of Heroes Gold, our wish is that you will, not only, enjoy our beautiful Golden Retrievers, but also appreciate the honesty and dedication we have in presenting you healthy and lovingly cared for puppies. We begin nurturing their wonderful spirit from the day they are born, so they pass from our home to yours with the best possible start in life. My 26 years of experience at DeVries Animal Hospital has allowed me the opportunity to learn and understand what it takes to be a quality breeder. Many years of research and communication with Golden Retriever breeders around the World, has resulted in the beautiful dogs who now share our home with us. All our Goldens are outstanding examples of devoted, calm mannered, delightful companions - all the traits a Golden Retriever can bring to your life. 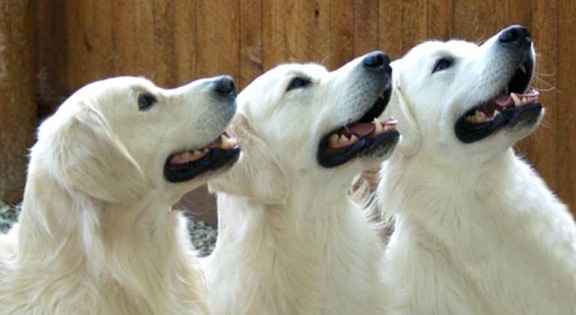 The support and interest in our Golden Retrievers from Veterinarians, clients, and Golden Retriever owners and breeders around the world is very important to us. It makes us feel our efforts have been recognized and appreciated. It truly has been our journey of love for this amazing breed. Please visit us often, and I look forward to meeting and talking with you.